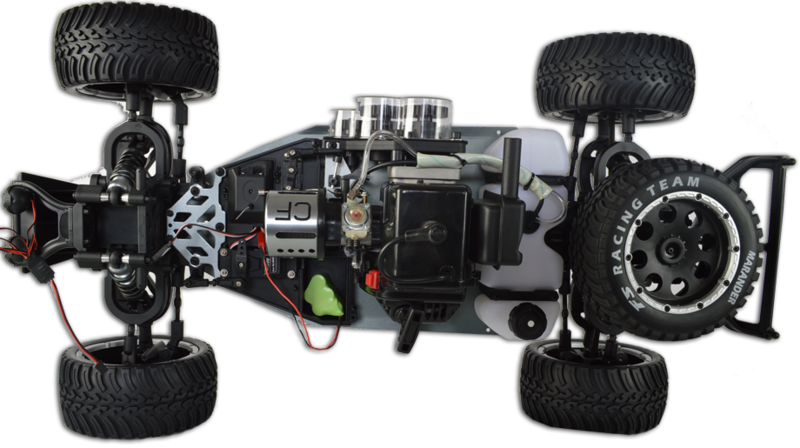 This is a huge ready to run petrol buggy that is ready to race and ready for fun. 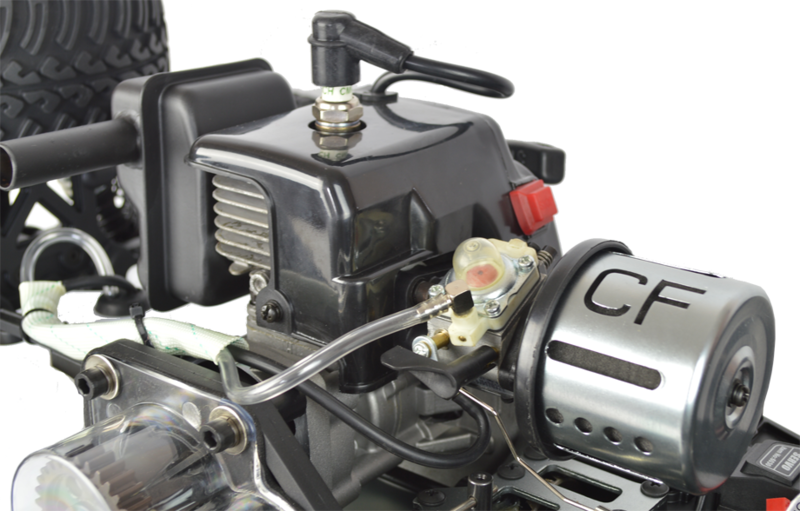 This model has been totally redesigned from its prior versions and is now more powerful than ever with the bigger 30cc engine and large aluminum air filter! 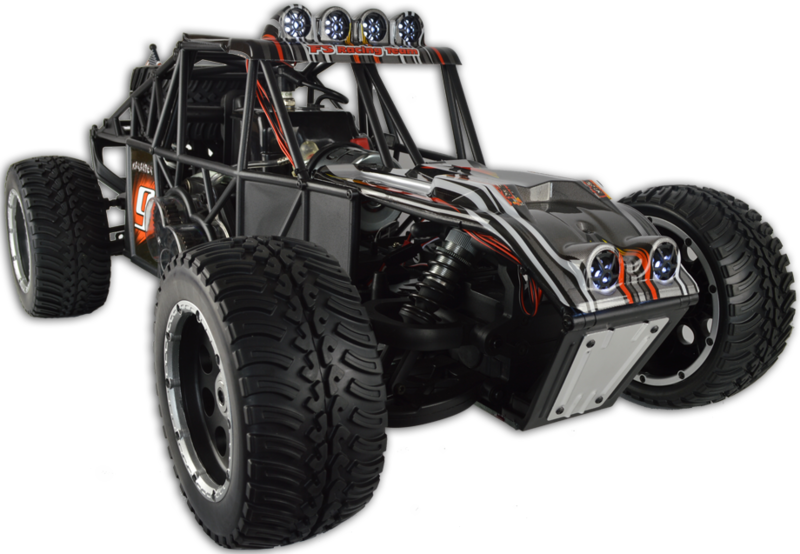 This beast of a buggy delivers hard acceleration and fast top speeds providing you with an exhilarating driving experience. 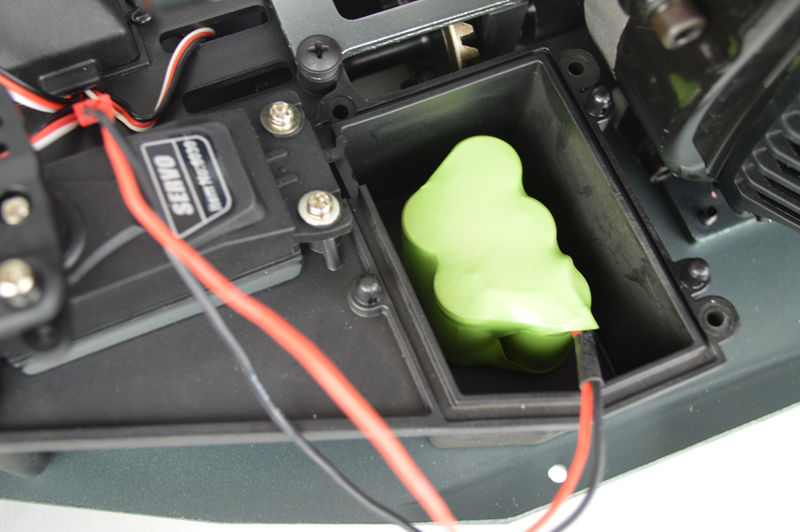 To handle the extra power the steering servo has been upgraded to a higher torque 30kg/cm model that is both water and dust proof. 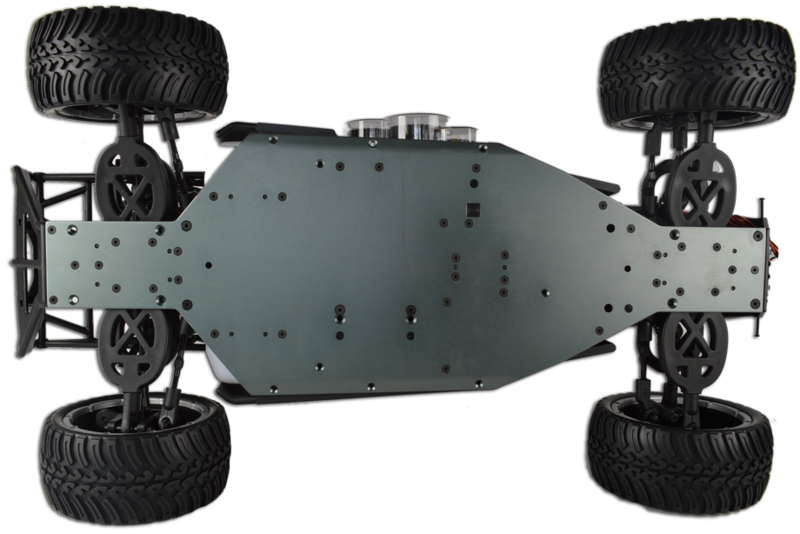 This is a precision manufactured high quality model with a massive feature list including hatchback frame design, metal gearing and large extra tough tires. See the full feature list below. 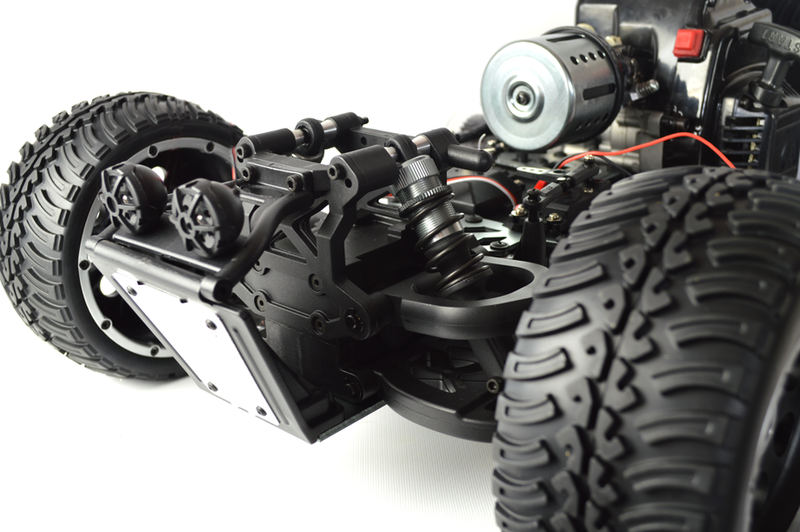 As standard the model is two wheel drive but if you prefer 4WD that can be upgraded easily with the purchase of the conversion set for further grip and handling. Just in case you get caught in the latter parts of the day turning into dusk, your buggy has six LED lights that will light up your way! 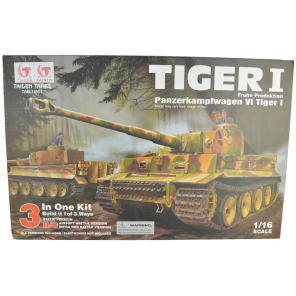 You will not find a 1/5 scale model with this performance and adaptability anywhere else anywhere near this price! 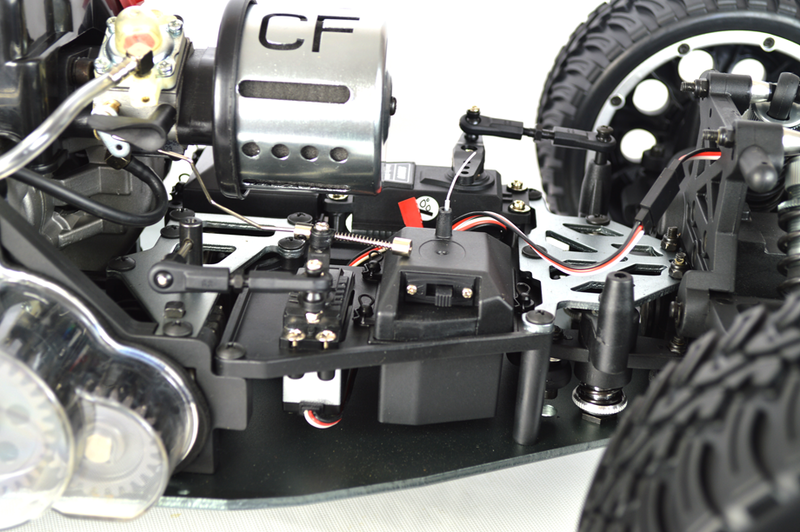 Engine and fuel tank are placed down the centre of the chassis to give good balance. 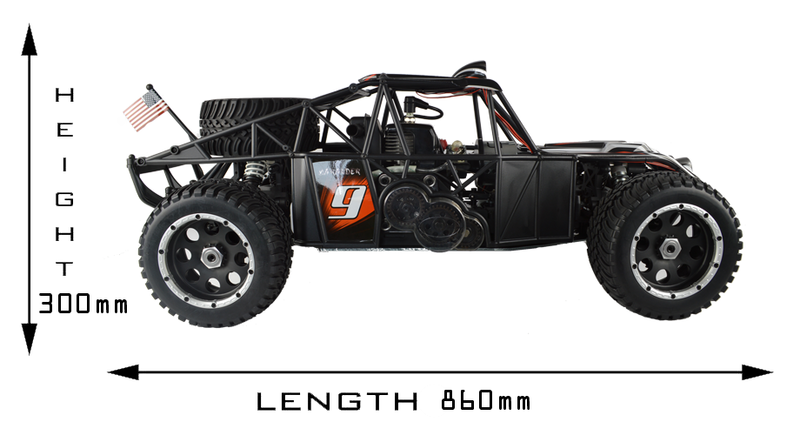 The car measures 860mm x 300mm x 430mm (length, height, width). 4 x LED overhead off-road lights and 2 x LED headlights, controlled from the transmitter. High quality, feature packed model. 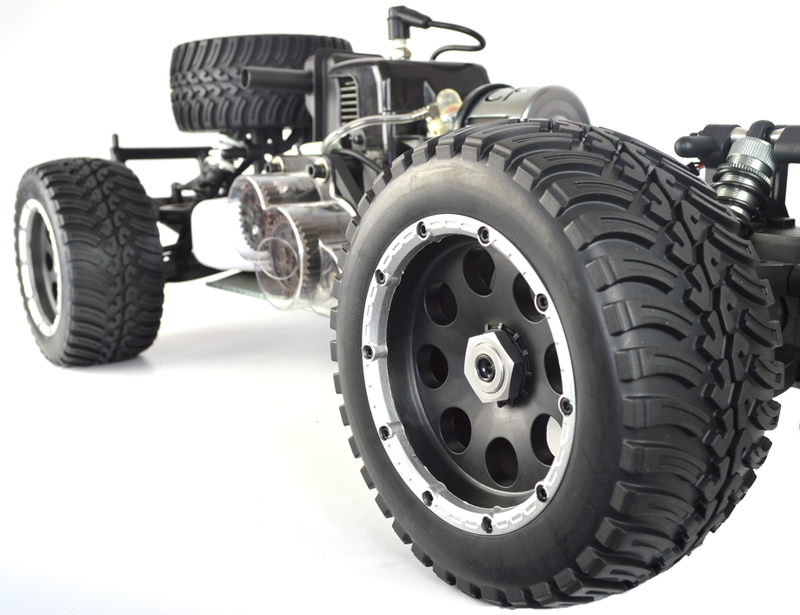 Independent aluminium shocks on each wheel with adjustable angle and tension. Hello - thank you for your question. Unfortunately I cannot tell you how long the sale will last as we do not currently have this information. In regards to the length of time this kit takes to install, unfortunately again I could not give you a specific time scale on this as it really depends on the user's experience. Hi what 2 stroke ratio does it use? 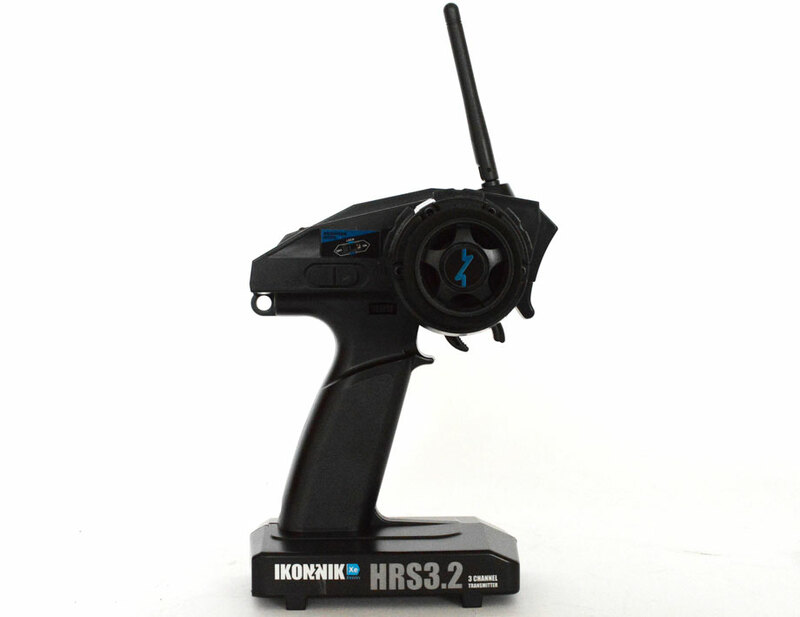 Hi, yes this model will cutoff automatically if it loses signal as it uses the 2.4GHz radio system. It's great fun and goes for ages. Pros of course is that it's petrol and as long as you have some to put in it it will go and do until the batteries run out, which I haven't had any problems with. Gets up to just under 40mph on grass and faster if you tune it etc. The car to self is built a to a fairly high standard that said the pull start did fall to bits in the first 2 weeks. Cons- the transmitter is cheap! Also had to get it repaired from the off and use a different one until I get it sorted by nitrotek. The lights are a good little extra but they are in danger of being damaged very early I broke two in the second roll. That being said they still work and iv moved them inside the roll cage and move so they are pretty protected now. I did install the 4wd convention kit and it's made a big difference. The kit was easy to do but does take a while. All in all its a great car for the price a few upgrades and it's worth it.